It’s the season of thanks, so we would like to take a moment to acknowledge a handful of our authors with a heartfelt thank you for all they accomplished in 2018. We publish over a thousand books every year and have hundreds upon hundreds of successful authors worthy of commendation. But that would make this article hundreds of pages long, so if we’re not able to mention you personally, please know our thanks and appreciation extend to you, as well. Keep up the great work in 2019! In January, the spotlight was on Katherine S. Egan, author of Genetics Isn’t Everything. She went on to win a first place EVVY Award in August, which she was able to accept in person at the banquet in Denver, Colorado. She subsequently became one of three finalists in the 2018 Outskirts Press Best Book of the Year Awards. Thank you, Katherine! In February, Jackie Fischer won first place (and a new laptop computer) in our annual “Show Us Your Love” video contest, which celebrates both Valentine’s Day and self-publishing. Not only is she the author of The Lost Branch but, as she demonstrates in her video, she’s quite adept at rhyme, as well! Thank you, Jackie, for the fantastic video and the fantastic book! 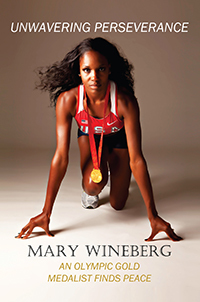 Olympic Gold Medalist Mary Wineberg hit our Top 10 Bestsellers List in March with her inspiring and triumphant autobiography, Unwavering Perseverance. Even more impressive, she earned a Gold Medal in the 2008 Olympic Games in the 4×400 relay after overcoming obstacle after obstacle. “Always strive for your dreams,” she encourages. Thank you for the words of motivation, Mary! You’re a true inspiration! The Annual Benjamin Franklin Awards are notoriously competitive, so it was no small feat when Dr. Jeanne Blanchet won a Silver Medal Award for Historical Fiction in April with her novel Man at the Cross Road. Proving herself to be anything but a one-trick pony, she quickly followed that up with an EVVY Award for her following book, Cursed. Thank you, Jeanne, for making the trip to Denver to accept your award in person and meeting some of our executive team. We acknowledged the writing career of one of our most prolific authors in May when Jerry Snodgrass stepped into our monthly spotlight. Jerry has published 10 books with Outskirts Press (so far!) and was born in Butler, Missouri, in 1938. He was raised and went to school in Indianola, Iowa. He entered the military after graduating from high school in 1957 and fulfilled his dreams of serving in the military and traveling to exotic locations. He married Elizabeth Fleming in the 1960s and they had two children. The family traveled extensively during his military career before settling down in Killeen, Texas, in 2002. Thank you, Jerry, for your service and your books of valor. Kevin I.J.A. Barnett Sr. went on a whirlwind virtual book tour in June for his debut book, a provocative and autobiographical examination of the United States Foster Care and Adoption System. As the author of Living My Shadows, Kevin is a retired, noncommissioned officer in the United States Army. He has served in Germany, Afghanistan and in many stateside tours during his career. 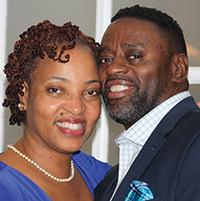 He is married to Sharon F. Pelham and does motivational speaking when time permits. Thank you, Kevin, for your service and for having the courage to share such significant moments of your life for the assistance of others. In July, prolific novelist Gabriel F.W. Koch learned that he was once again a finalist in the Colorado Independent Publishers Association EVVY Awards. He walked away with a Second Place EVVY Award a couple years ago for his science fiction novel Paradox Effect (not to mention an Outskirts Press Best Book of the Year nomination). 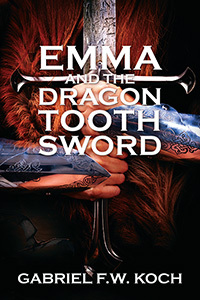 This year he picked up an EVVY Merit Award for Emma and the Dragon Tooth Sword. 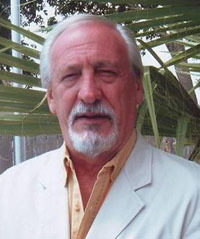 He has published four books thus far with Outskirts Press, including his latest: And Come Day’s End. Thank you, Gabriel, for all your wonderful, award-winning books. Speaking of science fiction, C.R. 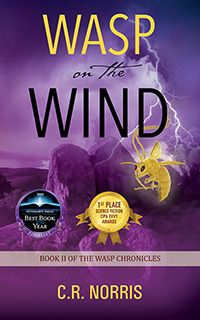 Norris discovered that she won First Place in the Science Fiction category, for her book Wasp on the Wind, when the EVVY Awards Banquet took place in Denver on August 25, 2018. Wasp on the Wind is Book 2 in her Wasp Chronicles Series. She subsequently was nominated to be one of three finalists in the highly coveted Best Book of the Year Awards. C.R. Norris is a perpetual student of science and mathematics. 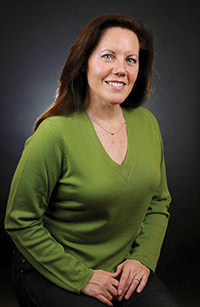 Born in Salina Kansas, her varied career has included experience as a musician, a blood banker, and an electrical engineer in the semiconductor industry. She currently resides in Albuquerque, New Mexico, where she indulges her passions for green chile, playing music and writing. And it all led up to this, when the 2018 Outskirts Press Best Book of the Year was announced. This year, the honor, the award and the $1,500 Grand Prize went to T.D. Arkenberg for his biographical take on the events leading up to, and following in the shadows of, September 11. Two Towers is his fourth book but his first memoir. Thank you, T.D., for letting us experience this tragic event from such an unfiltered perspective. In October we recognized our 50 bestselling authors for 2018. It takes more than a marvelous literary work to achieve success as an author; it takes the gumption and drive to promote that work to readers! To you, we extend not only our congratulations but our thanks for allowing Outskirts Press to help you reach this successful milestone! And the year isn’t over yet. November and December are the biggest months of the year for book sales, so keep those marketing efforts going! And “Thank You” to all our amazing authors for making 2018 another banner year for self-publishing. Want your book to be the next big prize-winner? Find out more about marketing, promoting and submitting your book for awards and reviews. Last week, Outskirts Press announced the three finalists for our Best Book of the Year for 2016. We’ve heard from many readers who are thrilled to be introduced to these authors and their work. And now we want to hear from you. Since this is a public vote through the Self Publishing News blog, this award not only demonstrates to agents, editors, and publishers that the author is a talented writer, but also that he or she knows how to market a book. It also introduces brand new and remarkable books for the public to read and review in order to cast their votes. As we mentioned in our previous blog posting, every year Outskirts Press has the honor of publishing thousands of amazing books, and every year we nominate a small percentage of those for submission to the Colorado Independent Publishers Association EVVY Awards. And every year, a percentage of those official nominees win an EVVY Award, thereby representing the best of independent publishing as determined by a committee of 3rd party judges from the publishing community. From among all our EVVY winners, we select 3 finalists for our own Outskirts Press Best Book of the Year Awards. These finalists compete head-to-head-to-head in a public poll to see who can garner the most votes. Because this is a public vote on this blog, the Outskirts Press Best Book of the Year Award not only demonstrates to agents, editors, publishers, and readers that the author is the talented writer of a technically and artistically award-winning book (as evidenced by the EVVY win) but also that he or she knows how to successfully market a book. The Best Book Finalists also introduce brand new and remarkable books for the public to read and review in order to cast their votes. Our second finalist is Gabriel F.W. 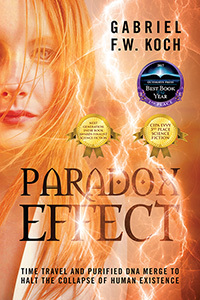 Koch, author of Paradox Effect, which won a 3rd Place EVVY Award in the Science Fiction category. Mr. Koch is a 2004 winner of the L. Ron Hubbard Writer’s of the Future Award as well as an award-winning photographer. 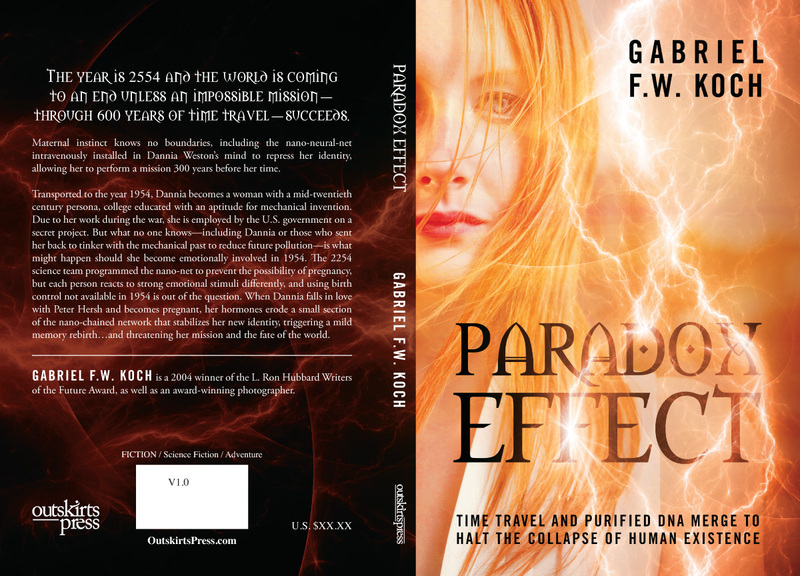 Introducing Paradox Effect, by Gabriel F.W. Koch, one of the finalists in the 2016 Outskirts Press Best Book of the Year Awards. Maternal instinct knows no boundaries, including the nano-neural-net intravenously installed in Dannia Weston’s mind to repress her identity, allowing her to perform a mission 300 years before her time. Transported to the year 1954, Dannia becomes a woman with a mid-twentieth century persona, college educated with an aptitude for mechanical invention. Due to her work during the war, she is employed by the U.S. government on a secret project. But what no one knows—including Dannia or those who sent her back to tinker with the mechanical past to reduce future pollution—is what might happen should she become emotionally involved in 1954. The 2254 science team programmed the nano-net to prevent the possibility of pregnancy, but each person reacts to strong emotional stimuli differently, and using birth control not available in 1954 is out of the question. 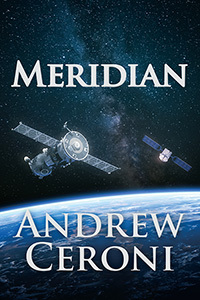 When Dannia falls in love with Peter Hersh and becomes pregnant, her hormones erode a small section of the nano-chained network that stabilizes her new identity, triggering a mild memory rebirth…and threatening her mission and the fate of the world. As a finalist, Gabriel has already won a book video trailer. Take a look! 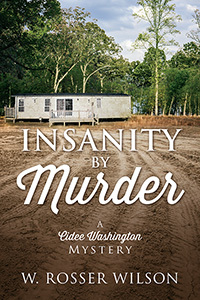 Once again…an Outskirts Press author produces another page-turner! As one of three finalists, Gabriel F.W. Koch and his book Paradox Effect will be competing head-to-head-to-head with the other two finalists in a public poll on this blog September 9th through September 14th. Gabriel has already demonstrated he has the writing chops to win this prestigious award, as evidenced by his EVVY Award win. Does he have the marketing prowess to make it as the Best Book of the Year author in this digital age? Stay tuned for information on the remaining finalist who will be announced tomorrow, and then come back September 9th through September 14th to vote for the book you believe to be the best among the three! Order it now to help you decide! Gabriel F.W. 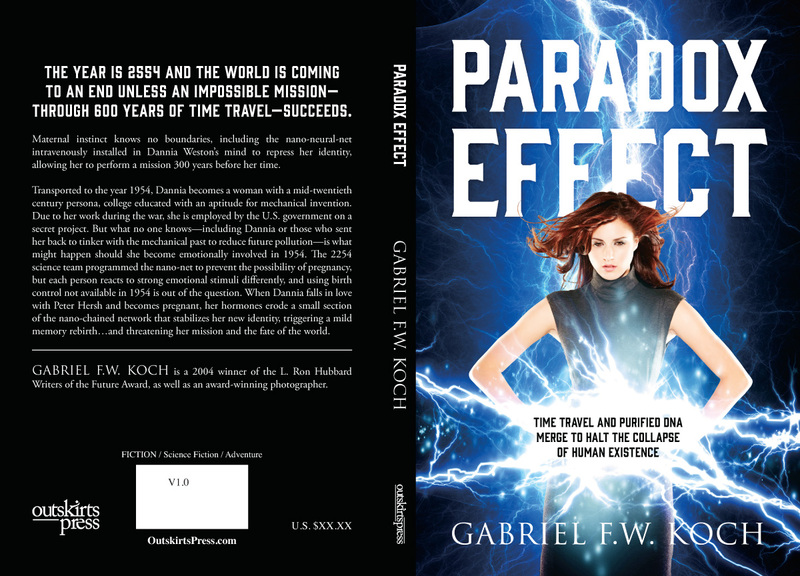 Koch’s “Paradox Effect.” The world is coming to its end and Dannia, who has a nano-neural-net intravenously installed in her mind to repress her identity, is performing a mission 300 years in the past. While transported back in time, Dannia falls in love with Peter and becomes pregnant, which erodes a small section of the nano-chained network threatening her mission and the fate of the world. Gabriel F.W. Koch is self-publishing a book with Outskirts Press. And he wants your help deciding his book cover. The year is 2554 and the world is coming to an end unless an impossible mission-through 600 years of time travel-succeeds. Maternal instinct knows no boundaries, including the nano-neural-net intravenously installed in Dannia Weston’s mind to repress her identity, allowing her to perform a mission 300 years before her time. Transported to the year 1954, Dannia becomes a woman with a mid-twentieth century persona, college educated with an aptitude for mechanical invention. Due to her work during the war, she is employed by the U.S. government on a secret project. But what no one knows-including Dannia or those who sent her back to tinker with the mechanical past to reduce future pollution-is what might happen should she become emotionally involved in 1954. The 2254 science team programmed the nano-net to prevent the possibility of pregnancy, but each person reacts to strong emotional stimuli differently, and using birth control not available in 1954 is out of the question. When Dannia falls in love with Peter Hersh and becomes pregnant, her hormones erode a small section of the nano-chained network that stabilizes her new identity, triggering a mild memory rebirth…and threatening her mission and the fate of the world. Gabriel F.W. Koch is the 2004 winner of the L. Ron Hubbard Writers of the Future Award, as well as an award-winning photographer. Please take a look at two possible covers below and then vote on the choice you recommend for Gabriel.